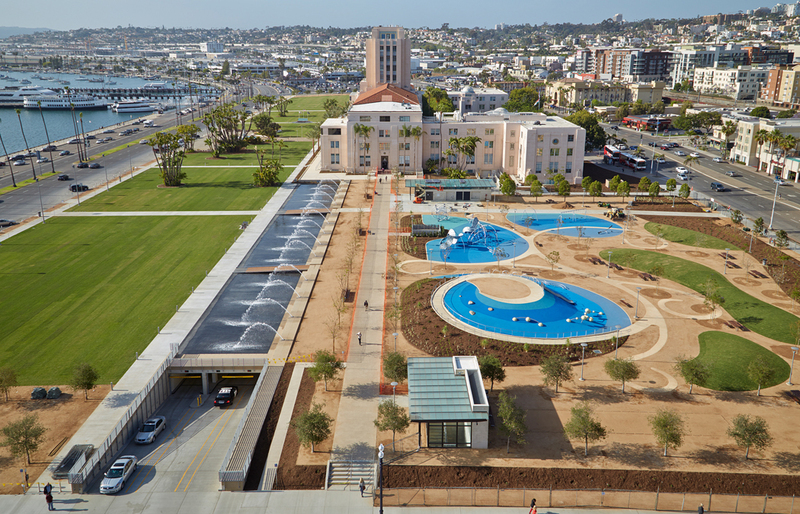 Built on the historical County Administration Center site, the Waterfront Park and Parking Structure is one of the most significant open spaces in downtown San Diego. 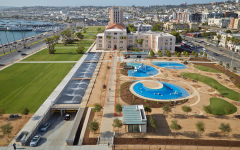 The existing historic landscape and landmark County building form the park’s center, while a new interactive fountain extends from the building and into the park, defining the large open space. 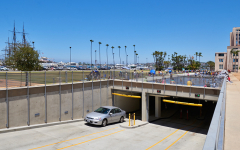 Below the park at the south end is a new single-level parking structure that contains 250 stalls. 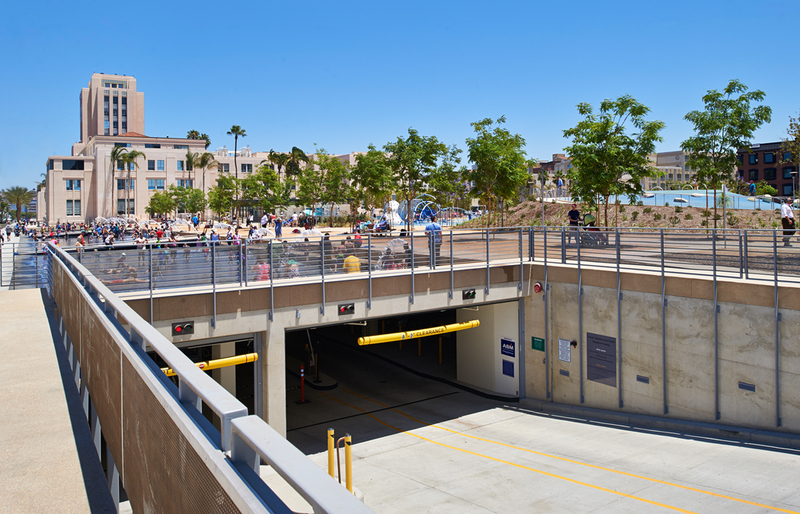 The parking structure has been built completely below grade in order to maximize open space for park uses and to allow the linear fountain to continue over the top, terminating at the south edge of the park site. The interior of the garage has been painted white and is well lit in order to create a comfortable and safe environment for visitors. Convenient access to grade is provided via strategically located stairs and an elevator feeding directly onto the park site.